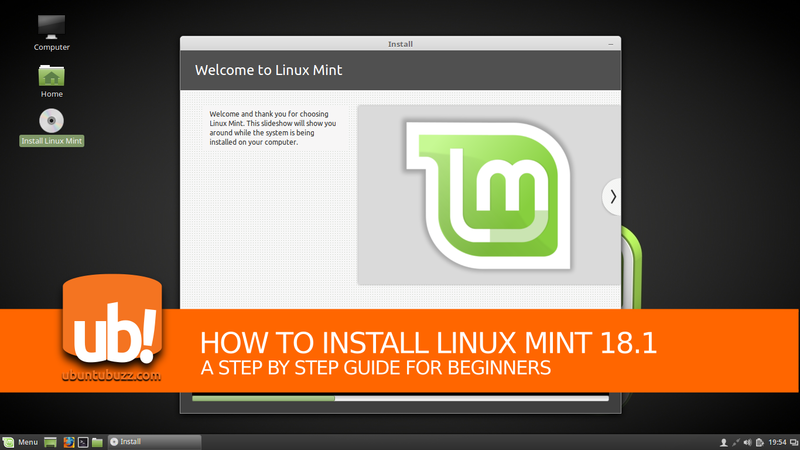 This article guides you step by step to install Linux Mint 18.1 Cinnamon Edition. This 18.1 is a Long Term Support version (will be supported until 2021) and codenamed "Serena". I based this guide on my laptop Acer Aspire One, Intel Celeron 64 bit, 4GB RAM, 120GB SSD. I hope this simple guide helps more beginners into GNU/Linux. 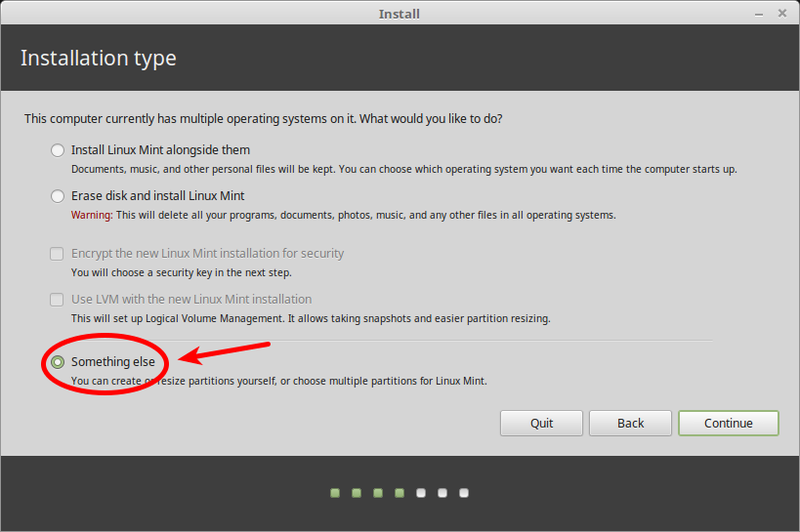 Preparing the partitions before installing is the quickest method for installing any GNU/Linux. So you need to create or provide one partition for the main system and one partition for the swap. In my system, I prepared /dev/sda6 20GB for the main partition, and /dev/sda7 2GB for swap. WARNING: DISK PARTITIONING IS DANGEROUS! 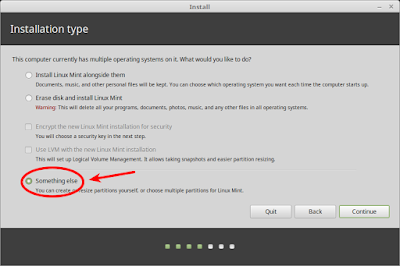 Make sure you understand and read your screen carefully in every single step while doing Linux Mint installation. Don't be sleepy, don't make any mistake, always be careful while you doing anything with disk partitioning and system installation. 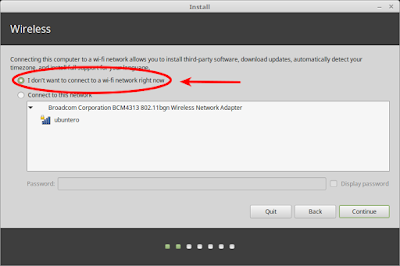 Don't continue the installation if you are not sure or you can ask someone nearby capable to help you directly. You do it on your own risk. Now boot your computer into your USB drive so you see the live session. 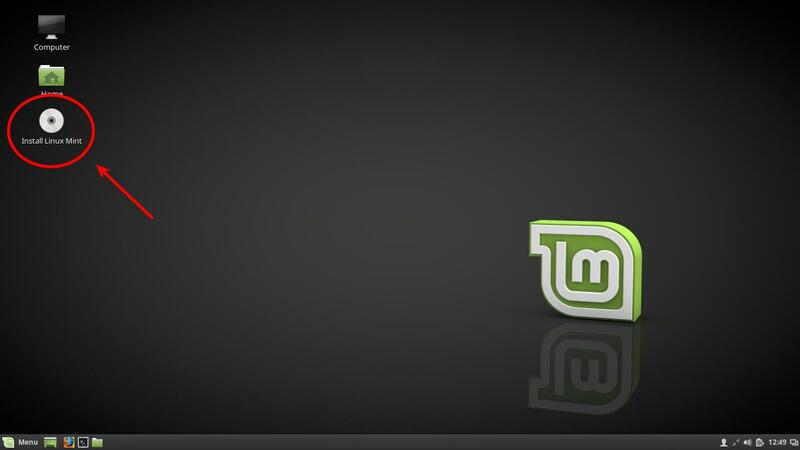 It appears as a normal desktop OS you can try. 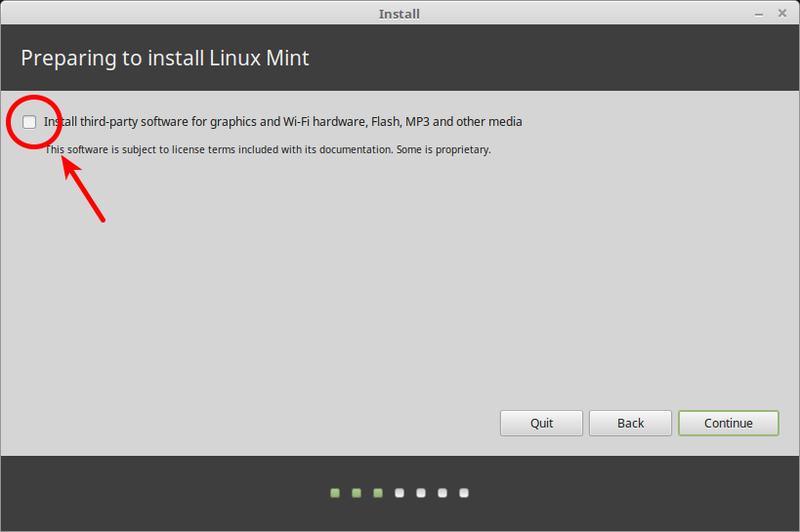 What you need to do is running the Install Linux Mint program on desktop. 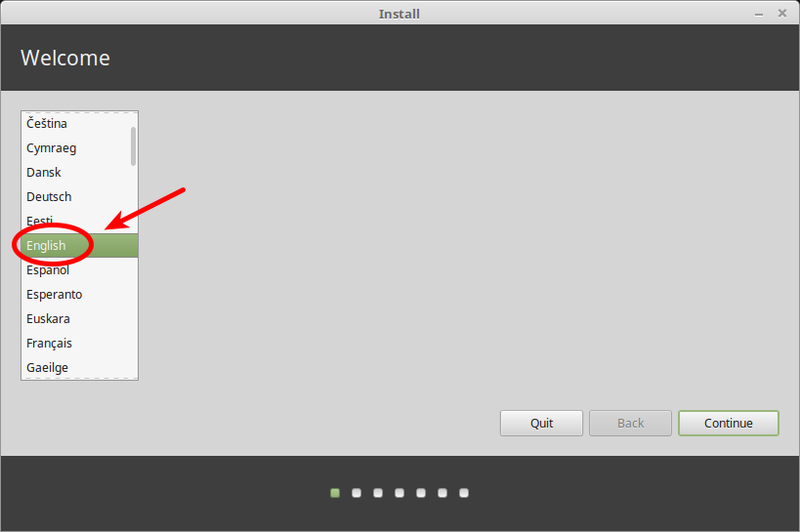 This system installer program is called Ubiquity. 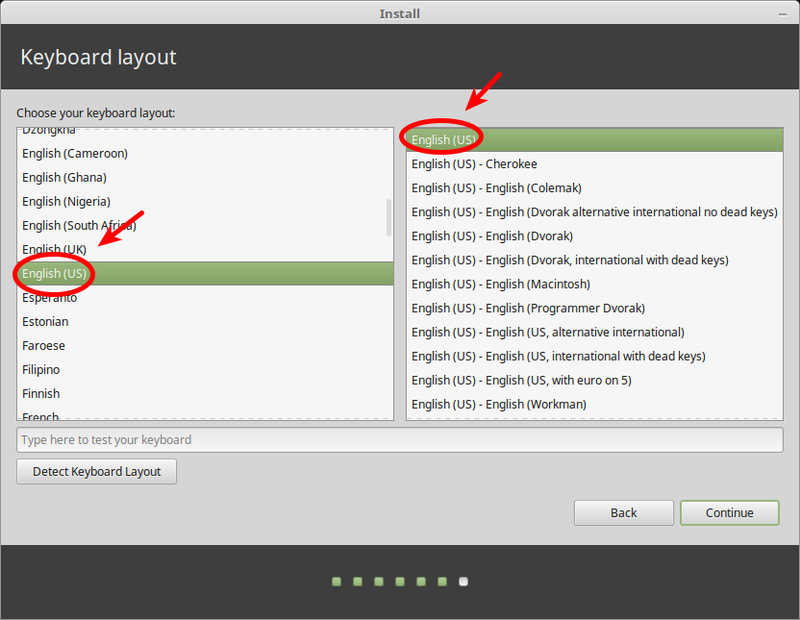 At first page of Ubiquity, select your language. This will affect the rest of partitioning language. The quickest choice here is 'I don't want to connect". 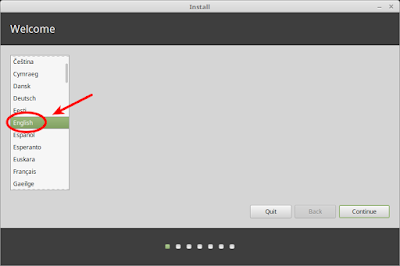 This makes the installation does not download anything while installing. The quickest choice here is leave the choice unchecked. 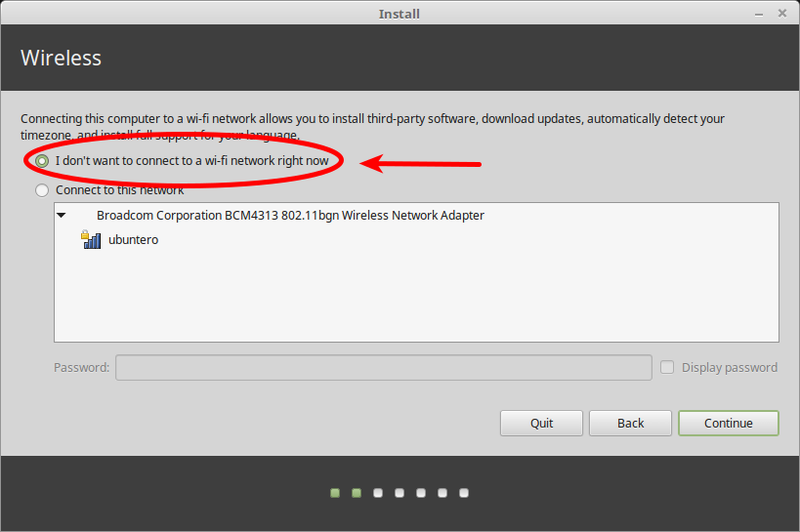 By leaving it unchecked, it won't download any third-party program while installing. Select "Something else" so you enter the manual partitioner. Always believe yourself in partitioning, don't believe automatic choices. 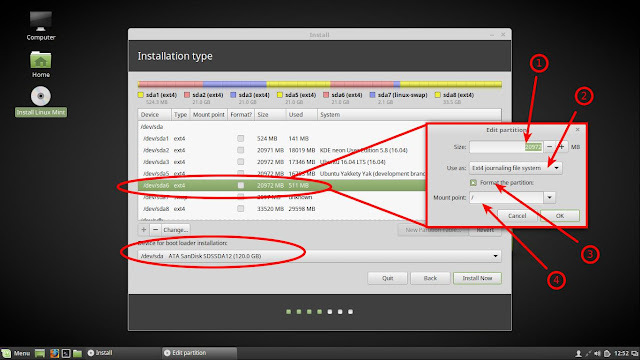 In creating main system partition, as you have prepared a blank partition before, now you can just select the partition and edit it. 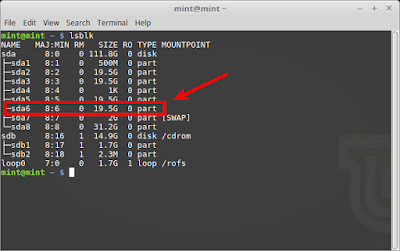 In this example, I select /dev/sda6 20GB ---> press Change button ---> (1) determine partition size as 20GB ---> (2) determine Ext4 as the file system type ---> (3) choose to format the partition ---> (4) determine slash (/) as the mount point ---> OK. See picture below. Just the same as creating main system partition (slash), create one partition as swap from the blank partition you have prepared. In this example, I choose /dev/sda7 2GB as my swap. Select your hard disk where the main partition belongs. In this example, my hard disk in only one: /dev/sda. 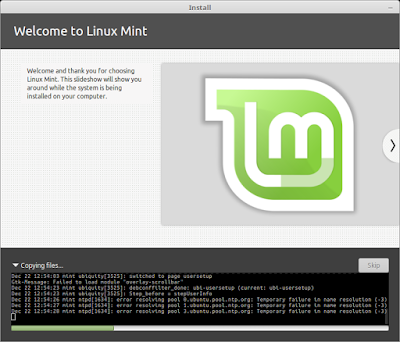 This is the place where your bootloader being installed. Bootloader is a program that allows you to choose one among the operating systems installed to boot. Select your time region by either clicking on the map of typing on the bottom text box. For example here, I choose Jakarta. 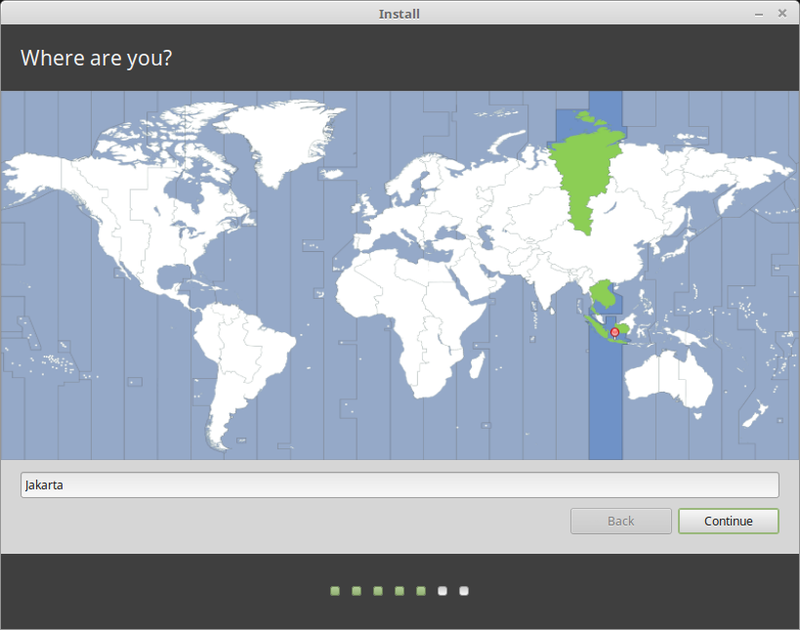 This choice of region affects your time and date settings. 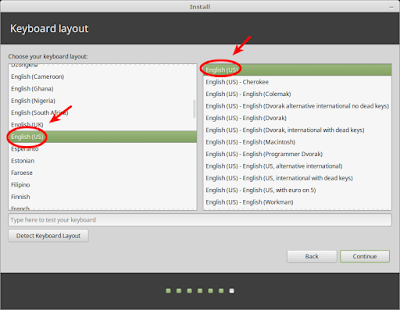 Select a keyboard layout available as you wish. For most users, the default choice is OK.
You need to determine the username and password of your Linux Mint. Now the Ubiquity takes the rest jobs for you. You may need to wait for 5-10 minutes. 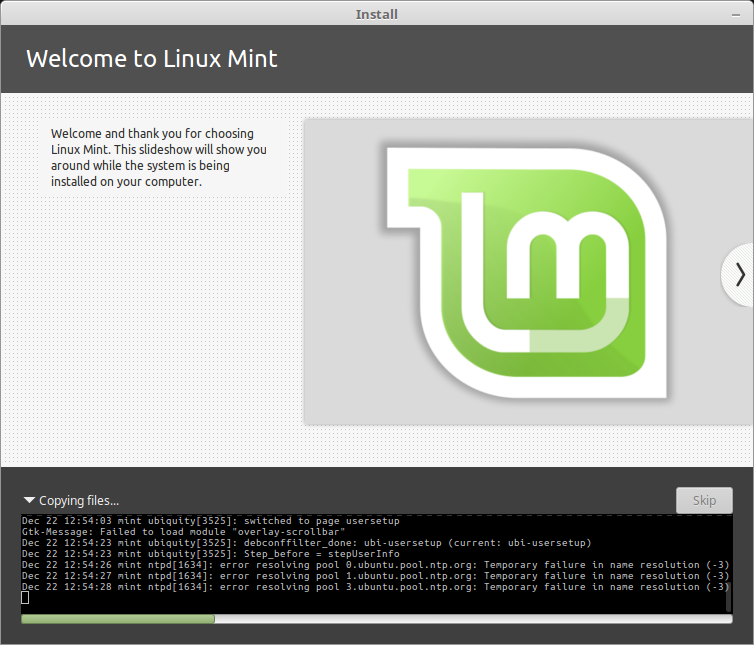 In my system, this installation progress takes about 6 minutes. 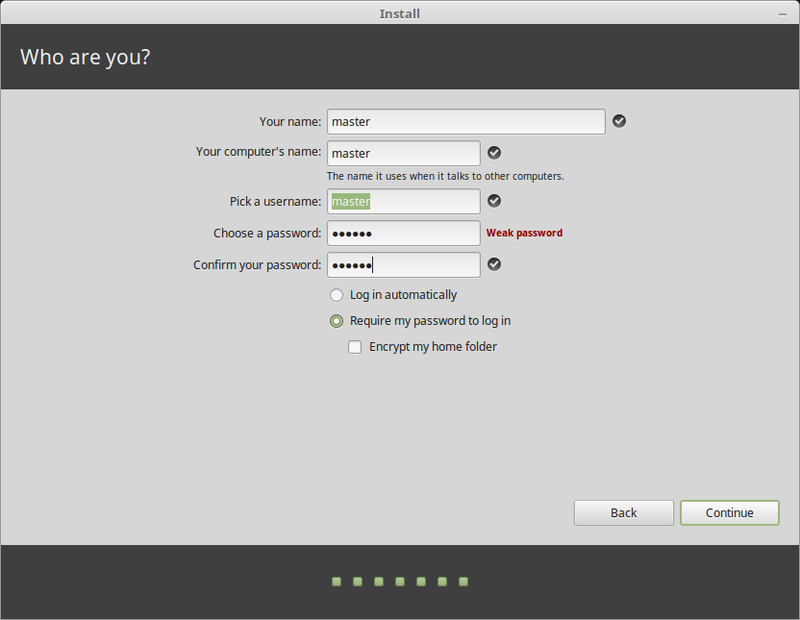 While you see a notification sating Installation Complete, it means the installation progress has finished. 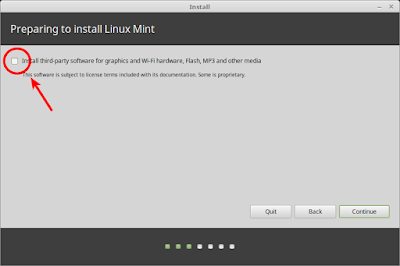 Now you can reboot to your just installed Linux Mint 18.1 Serena.